Introducing Winnow Vision, the most advanced food waste technology on the market. 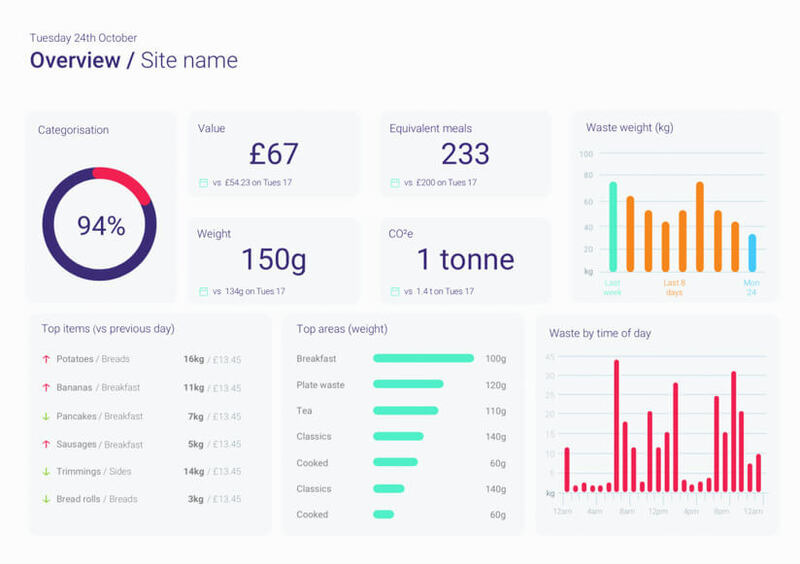 Enabled with AI to maximise operational efficiency and data accuracy, reducing food waste with Winnow Vision is effortless. Join hundreds of kitchens across the globe cutting their costs by up to 8% a year. Winnow Vision is the first time that AI has entered the professional kitchen at scale. This is a breakthrough product in the fight against food waste. Automation reduces the barriers to entry for thousands of kitchens around the world. Eventually, full automation will not require any input from the team. Winnow has been awarded the Tech Disruptor 2019 award at The Circulars. Presented at the World Economic Forum, the prestigious awards recognises achievement in developing the circular economy. Previous winners have included IKEA, Nike and Patagonia. Equip your team with cutting edge AI tools. Take a tour of what’s included. From day one you will gain greater visibility across your kitchens. Photos captured validate 100% of your data. You’ll also benefit from richer insight into your customers’ preferences to support your menu engineering. As you begin training the computer vision model the system becomes smarter. Winnow Vision predicts a shortlist of 5 items which improve ease of use and reduces human error. Once fully trained Winnow Vision becomes more accurate than humans. Wasted items are automatically recorded taking zero staff time and completely eliminating human error. Teams benefit from powerful reporting which drives down waste and cuts food costs. "We’ve identified that overproduction is the main reason why we were wasting food. Winnow captures all of the food waste within the building and has helped me gain more control over my kitchen." "With the help of Winnow, we have been able to improve our food offer. With our savings from reducing food waste, we have been investing in higher quality food and more sophisticated ingredients. We always attempt to deliver an unforgettable experience to all our guests." 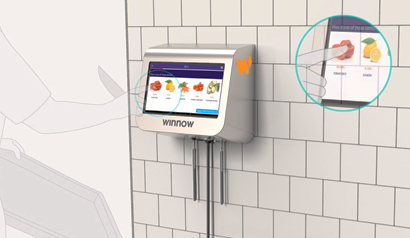 Winnow Vision surpasses kitchen level accuracy of food waste categorisation. Due to the busy and often stressful nature of kitchens, kitchen level accuracy of food waste is between 70-75%. Winnow Vision now recognises the right item, first time, on over 80% of transactions and will get better over time. Additionally, the Winnow team validates each transaction to ensure the highest data quality. 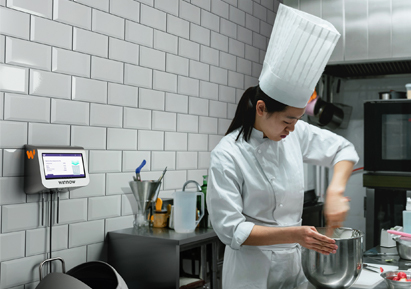 Automating food waste capture with Winnow Vision ensures that kitchen staff can spend more time cooking rather than entering data. 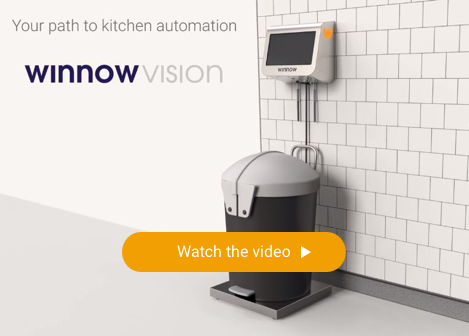 In less than a couple of seconds, Winnow Vision recognises the wasted food, enabling staff to resume their task in the kitchen. Winnow Vision dramatically reduces the need for other tasks like staff training or engagement programs. Once trained in the kitchen, you will receive pinpoint data on your waste with no staff input required. Computer Vision is a field of Artificial Intelligence (AI). Computer vision is the discipline of taking the information in an image, breaking it down in detail and then making the computer analyze that information to help us understand what the image is. How will Winnow Vision help my kitchen? 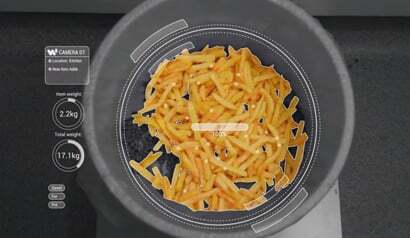 Winnow Vision is a new tool which will allow kitchens to automatically track food waste. It uses AI to help chefs easily pinpoint waste, cut costs and save time. Kitchens using Winnow typically see food waste cut in half, saving 3%-8% in reduced food purchasing costs. How does Winnow Vision work? How accurate is it? The system takes photos of wasted food as it's thrown away and, using the images, the machine trains itself to recognise what has been thrown in the bin. Winnow Vision is now operational in almost 100 kitchens. Our data shows that we have reached and surpassed human levels of accuracy in identifying wasted foods. What are the costs? What kind of ROI should I expect? Typically Winnow kitchens see and ROI of 200%-1,000% within year one. Our pricing is tiered according to the specifics of your kitchens. What does the Winnow Vision system comprise of? a scale on which the bin is placed that accurately captures the weight of the waste thrown into the bin. How long will it take for the system to reach automation? The system will need 200-1000 images to recognise each food items, so the exact time depends on the breadth of your food offer. Winnow Vision is best suited to hospitality groups with multiple sites (30+) where larger volumes of images can be captured. These types of operations can expect to reach automation faster than smaller chains or individual restaurants. What are the requirements for installing Winnow Vision? Winnow Vision requires an internet connection, power supply, and wall space to install the connected tablet and camera facing downwards over the bin. What are some of the benefits of implementing Winnow Vision? Environmental impact: since food waste causes greenhouse gases, reducing food waste has a positive impact on the environment. Does Winnow Vision differentiate between similar looking food? Winnow Vision surpasses human levels of accuracy which means that the system will be able to tell the difference between two very similar looking food items even if the human eye might not be able to. An example of this is that the Winnow Vision system is able to differentiate between a piece of roast chicken vs Piri Piri chicken though the human eye might not be able to. How much could I save by using Winnow Vision? Winnow’s data shows that on average kitchens waste between 4%-12% of all food purchased. Kitchens using Winnow’s analytics can expect to cut this in half in 6-12 months. This equates to average savings of between $5k a year for a smaller site through to $50k+ for a large hotel or staff restaurant.